It took a while, but we finally received some much needed rainfall. Until September 19th, we had gone since August 3rd with only .17” of rain. This stretch of dry weather was eerily similar to last year but thankfully the dry spell came later in the year when the days are shorter and temperatures are cooler. All in all, we managed the dry spell without any major issues and are set up well for some spectacular fall golf. Incredible color change after a much needed rain! Traditionally, fall is a very busy time for us in the Grounds Department. This year is no exception. Not only do we have our typical maintenance of the golf course to complete, but we have several major course improvements that are scheduled to be completed. Beginning in October, my staff and I will be making some changes to #4 and #14 fairways, renovating some tees that need leveled and aligned, resurfacing cartpaths, treating and removing trees that have been damaged by Imprelis, performing our normal tree work to improve the golf course, and, of course, the renovation of #18 green. #18 green is, without a doubt, the hot topic of the fall. Most of you will agree that changes need to be made in order to make the green more playable than it currently is. 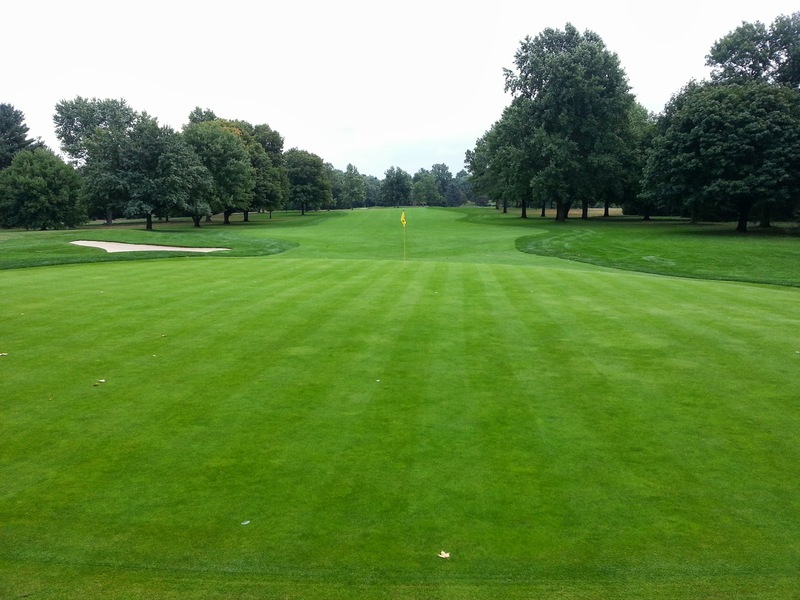 Beginning in October, Arthur Hills and one of his contractors will begin working on the renovation of the green. As of the writing of this article, we do not have a final plan of what will take place, nor do we have a set schedule, but one will be on the way shortly. Stay tuned to the blog as this will serve as the primary source of information for the project. I will provide detailed information regarding each of these projects and why they are taking place as we get closer to the actual work taking place. Until then, please stop me if you have any questions or concerns and I will do my best to get you the information you need. 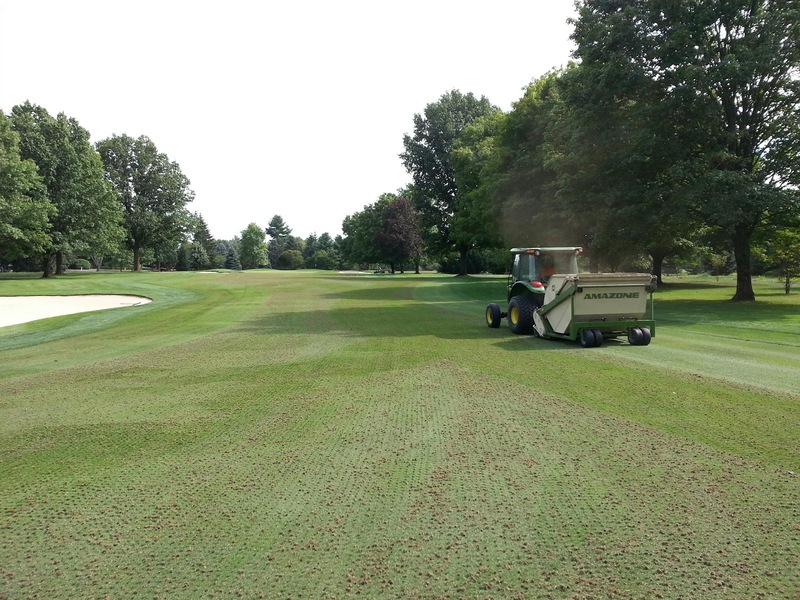 Lastly, greens are scheduled to be aerified on October 3rd and 4th weather permitting. we will be aerifying 9 holes at a time, so please check with the Pro Shop staff to see which 9 will be open on these two days. Have a great month! To honor the lives that were lost on September 11, 2001, American flags have been placed on holes #9 and #11 today. We have done this for several years and feel it is the least we can do to pay tribute. 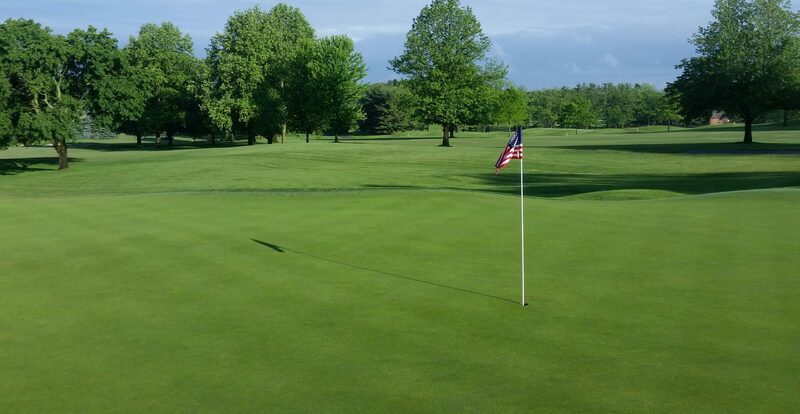 Please observe proper flag etiquette and use the flag stands that are provided along side of these two greens. After a long two days of hard work by the crew, fairway aerification has been completed. All 18 holes are open so come out and enjoy your golf course. 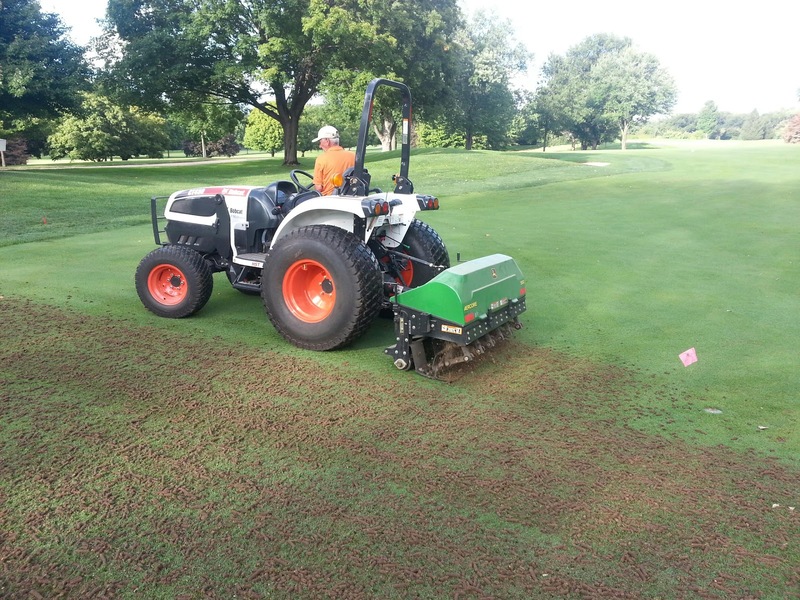 Just a reminder that we will be aerifying fairways this week. The course will be closed on Tuesday and we will have either the front 9 or back 9 open for play on Wednesday through Friday. The weather looks great and our hope is to get this completed as quickly as possible. Thanks for your patience and remember, this is a short term sacrifice for a long term gain. Have a great week!